Four New Releases! | Delos Music | Outstanding Classical Recordings for over 40 Years! 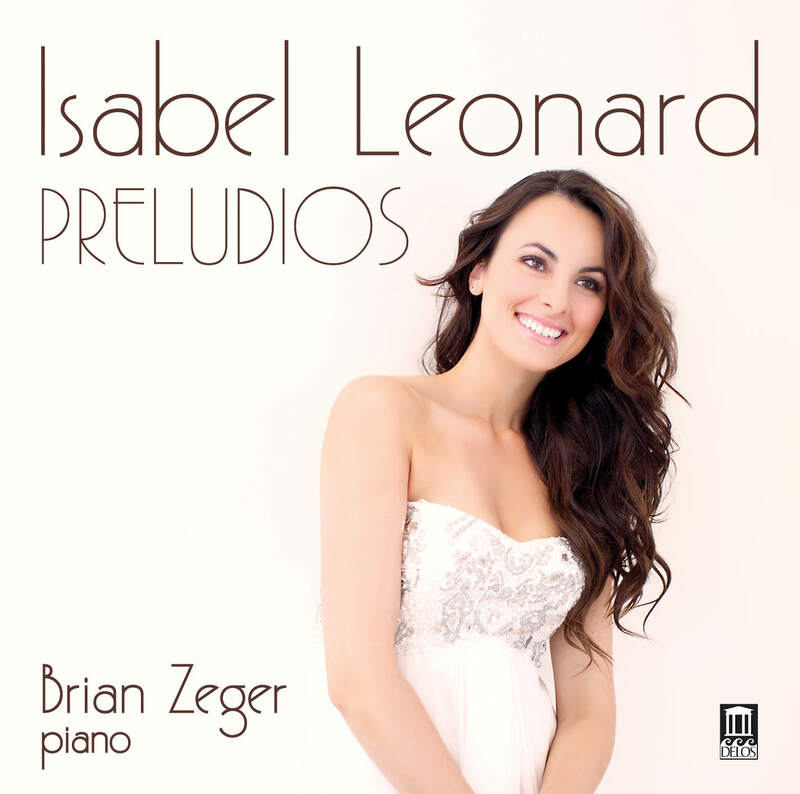 Such glowing praise is entirely typical of the critical response to soprano Isabel Leonard’s work, whether in opera or the concert stage. Her luxuriant vocal tone, riveting stage presence and remarkable artistic versatility make her one of today’s most in-demand sopranos. In this – her first release on Delos – she explores the riches of Spanish song, in all its varied Iberian forms and styles that can be traced back as far as its millennium-old Moorish influences. The generous program encompasses pure folksongs, folk-influenced art songs, dances and popular theater songs by quite a few of Spain’s finest composers of the late-19th and 20th-centuries: Mompou, Falla, García Lorca, Sanjuán, Granados and Montsalvatge. 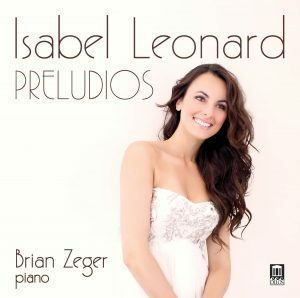 Leonard – herself a Spanish speaker and passionate devotee of Iberian musical art – is partnered here by Brian Zeger: one of America’s most supremely sensitive and accomplished piano collaborators. 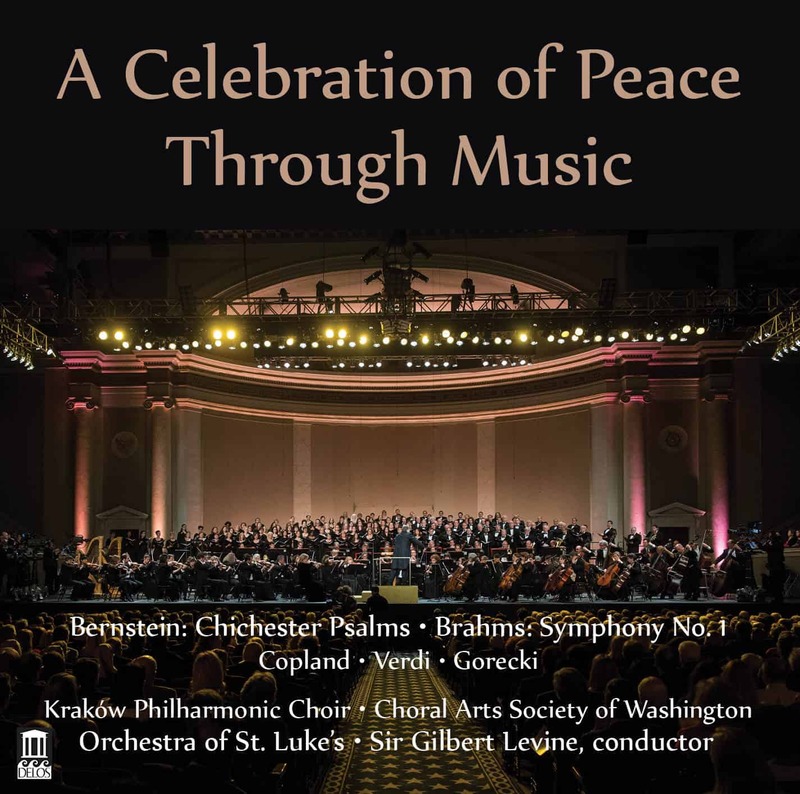 Together, with this intriguing album, they promise their fortunate listeners an unforgettable tour through one of the most beautiful, beguiling and diverse of all the world’s vocal traditions. Remembrances, the album’s title, derives from John Williams’ suite from his Schindler’s List film score. The suite demonstrates the violin’s unique propensity for music that conveys deep sentiment and searing nostalgia. 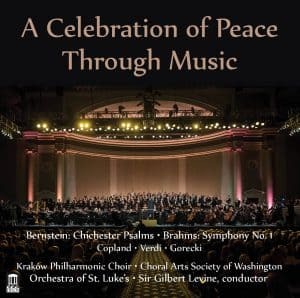 The remaining short selections – from Rachmaninoff, Schoenfeld, Bolcom, Scott, Kreisler, Ysaÿe, Tchaikovsky, Prokofiev, Kodály and Piazzolla – all bear potent testimony to the instrument’s supreme ability to express haunting musical beauty and profound emotion. Praised by the New York Concert Review as having “an easy virtuosity” and demonstrating “an unusually high level of ensemble playing” in their recent Carnegie Hall appearance, Duo Virtuoso has been enchanting audiences with their stylish and vivacious playing ever since its founding in 1996. 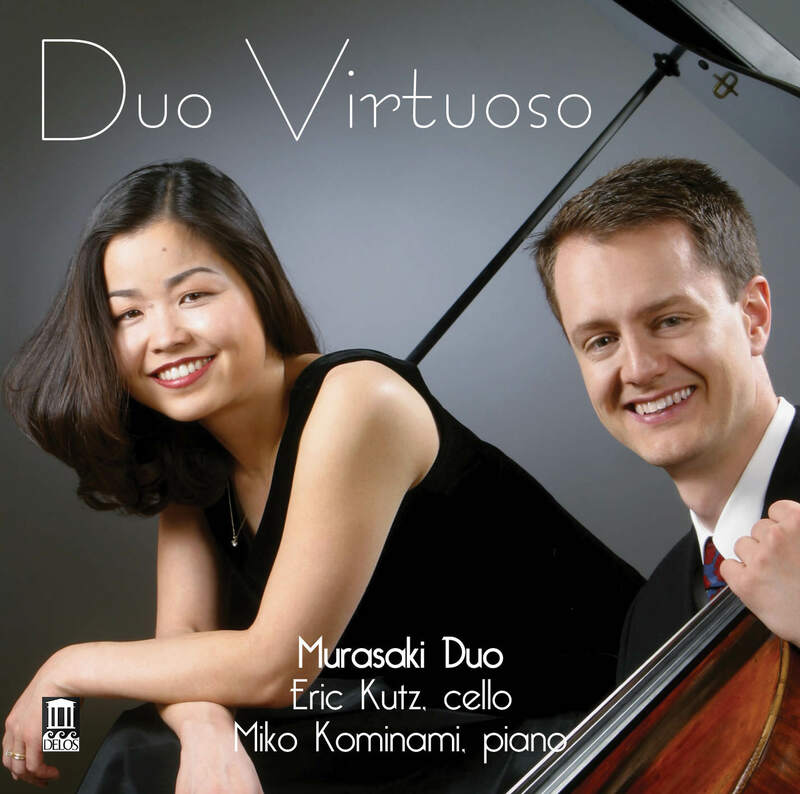 This most accomplished duo – consisting of cellist Eric Kutz and Miko Kominami – serves as Ensemble-in Residence at Iowa’s Luther College, where both are professors. Here they offer this varied and delightfully appealing program, including lighthearted bonbons like Mario Castelnuovo-Tedesco’s tongue-in-cheek “Figaro” from Rossini’s Barber of Seville and Bohuslav Martinu’s ingenious and engaging Variations on a Theme from Rossini’s Moses. Earthy Latin flavors abound, thanks to Alberto Ginastera’s rhapsodic Pampeana No. 2 and Astor Piazzolla’s sensual Le Grand Tango. Finally, there’s Johannes Brahms’ timeless masterpiece: the darkly ruminative and complex Cello Sonata No. 1 in E minor. Captured in rich and pristine sound, these wonderful performances will enchant any lover of chamber music: particularly those partial to music for cello and piano.